Chances are that your Android phone will not get the Android 9 Pie. The state of Android version updates continues to be a mess and Android p doesn’t change it. 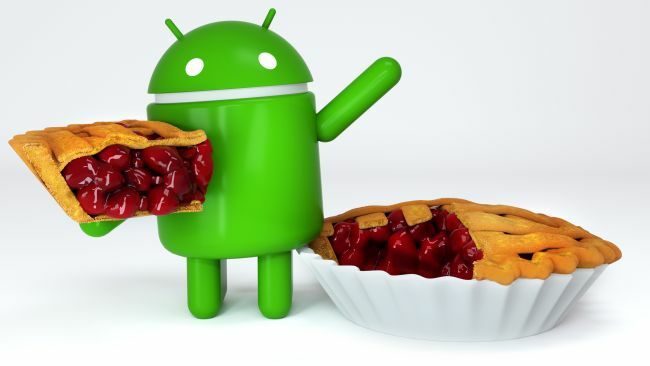 But at the same time, there are certain Android users who will get to taste the Pie on their existing phones. Yes, the numbers of these users isn’t relatively high. But they exist and you are one of them if you happen to use any of the following phones. If you have a Pixel phone: If you have a Google Pixel phone – either first generation or the second generation – your phone will get the Android 9 Pie update in the coming days. Chances are that if you have the Google Pixel 2 XL, you will get it either today or in another day or two. If you have the Pixel 2, then too you should expect the Android 9 Pie on your phone this week. The users of Pixel and and the Pixel XL, the phones launched in 2016, should get the Android 9 Pie in a week or two. If you have the Essential phone: This was never launched in India, this Essential phone made by company started by Android creator Andy Rubin. But if by any chance you happen to own the Essential phone, you must have already got the Android 9 Pie. The Essential was part of the Android P beta programme and once Google released the final version of the Android 9 Pie, Essential too pushed it out to its users. If you have the OnePlus 6: Given how quickly Essential has rolled out the Android 9 Pie – same day when it was launched by Google – we will not be surprised if the Android 9 Pie lands up on OnePlus 6 within a month. Unlike the Essential phone, the OnePlus 6 probably requires a bit of work on its android and hence OnePlus 6 engineers may take a few weeks to finalise the Android 9 Pie update. But OnePlus 6 was also part of the Android P beta programme so expect to see the Android 9 Pie on its very soon. Officially Google says that Android 9 Pie should come on the OnePlus 6 by the end of November 30 but that date is Google and OnePlus playing safe. We expect it to come sooner. If you have Nokia 7 Plus, Nokia 6.1 and Nokia 8 Sirocco: These are Android One phones and they were also part of the Android P beta programme. The date for these three Nokia phones is also the end of Fall, which is end of November 30. But again. expect to see Android 9 Pie on these phones sooner, probably with a month or two from now. Other phones that will get Android 9 Pie fast: By fast here we mean within couple of months or so. There were some there phones part of the Android P beta programme. Oppo R15 was there and so was the Vivo X21, which is available in India. Same for the Sony Xperia XZ2, which too recently went on sale in India. These phones too hope to get Android 9 Pie update by December. If you have a high-end Samsung phone: No Samsung phone was part of the Android P beta programme but Samsung usually brings the Android version update to its latest and greatest fairly fast. This means you can expect the Android 9 Pie, of course modified by Samsung with its own user interface and features, on Samsung Galaxy S9, Galaxy S9 Plus, the Galaxy Note 9 – launching on August 9 – by the end of this year. If you have an Android One phone: Select Android One phones will also get the Android 9 Pie update, and that too possibly by the end of this year. For example, Xiaomi is already on record saying that the Mi A1 will get the Android 9 Pie update. And if Mi A1 will get it, then the Mi A2 that launches on August 8 in India will definitely get it. Some of the new Nokia Android One phones will also get the Android 9 pie update. If you have OnePlus 5T and OnePlus 5: The Android P beta is already available for these phones directly from OnePlus, and chances are that a month or so after the OnePlus 6 gets the Android 9 Pie, the OnePlus 5T and the OnePlus 5 will also get it. This means expect the Android 9 Key on these two phones by the end of this year. What about the rest: The rest will most likely remain stuck on whatever version of Android they have right now. And even if Android 9 Pie comes to these millions of phones, it will come very late. As we said in the beginning, the state of Android updates is a mess.